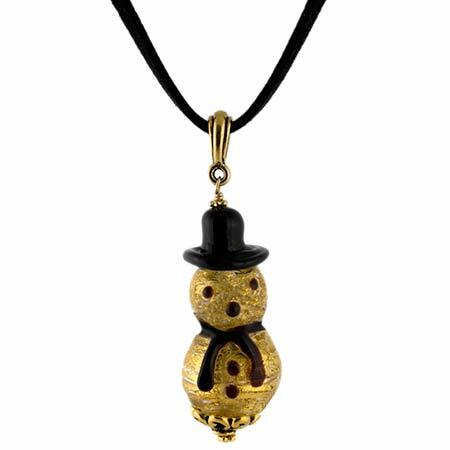 Handmade Murano glass snowman with 24kt gold foil accents on an 18" Ultra Suede cord and gold-plated findings. Perfect for those with the holiday spirit. Also availabe with a red hat.